Giving you the mindset, scripture, and tools for sharing the Gospel where you are, this book is a great resource for evangelism. Do you have a heart to change lives? Karen Kircher argues that many of us have been positioned in full-time ministry for years without realising because for most of us that ministry takes place outside of church. Every person, in any given situation, has an opportunity to lead however small that moment may be. Kingdom-style leaders seek to transform culture, as they do so, raise up people around them to do the same. 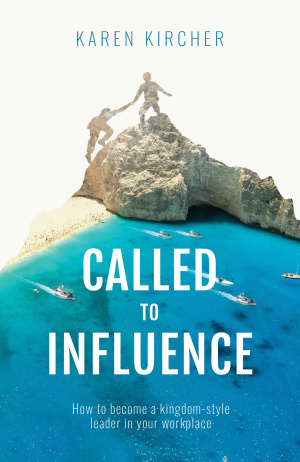 Called to Influence by Karen Kircher was published by Malcolm Down Publishing in August 2017 and is our 30276th best seller. The ISBN for Called to Influence is 9781910786666. Be the first to review Called to Influence! Got a question? No problem! Just click here to ask us about Called to Influence.